Dali Oberon 3 review | What Hi-Fi? What’s in a name? Well-read readers may nod knowingly at the memory of Oberon, King of the Fairies, in A Midsummer Night’s Dream, while others may think of a French footballer (that was Obertan), or conjure up an image of a far-off planet in Star Wars. But for us, naturally, we think of Dali’s superb speaker range. The Dali Oberon 3 is, fittingly, the third speaker in the range to pass through our test rooms. It’s the larger bookshelf speaker of the series, sitting above the Oberon 1, with the two floorstanding speakers, Oberon 5 and 7, completing the line-up. Having dished out five-star verdicts to the 1 and 5, we are naturally excited to hear what the Oberon 3 speakers can do. If you’ve seen the other speakers in the range, much here will be familiar. 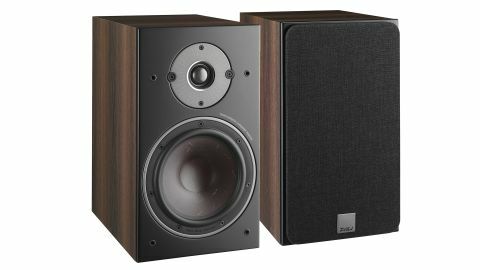 The Dali Oberon 3 speakers have a CNC machined MDF board cabinet, available in a range of four vinyl finishes – light oak, dark walnut, white and black ash. The same 29mm soft dome tweeter appears across the range, it’s a lightweight design, less than half the weight of most rivals. Dali says it has worked hard to improve the way the tweeter works at the lower frequency end of its range, aiming to deliver a smooth handover between the midrange woofer and tweeter. A larger 18cm mid/bass driver sets these Oberon 3s apart from its bookshelf sibling, its slightly larger than usual size should deliver more volume and better dynamics. Dali is aiming to deliver wide dispersion with good off-axis performance (they’re similarly designed to be positioned straight-on rather than toed-in). The Oberon 3s sport a big bass reflex port, so they need a little room to breathe – you wouldn’t want these speakers in too small a room or too close to a wall. They’re easy enough on the eye, though we don’t think they have quite the same ‘sofa appeal’ as the B&W 606s or KEF Q350s. Based on the performance of their siblings, we have high hopes for these speakers. But while they deliver an impressive scale and weight, the Oberon 3 speakers don’t have quite the all-round ability of their siblings. At 35cm tall, these cabinets are bigger than average, meaning you get a sound capable of deep bass. Listen to Massive Attack’s Angel and the brooding bass riff has impressive weight and depth for a bookshelf speaker. Similarly, they won’t be found lacking when it comes to filling a room. They are happy at loud volume and deliver an expansive sound. This big, beefy sound doesn’t mean the Oberon 3s are incapable of subtlety. A blast of Hans Zimmer’s greatest hits not only brings home the scale and width of the soundstage, especially with the speakers aimed straight, but also highlights good stereo imaging, showing skill at placing instruments in the room. But for every action there is a reaction, and the scale sees a trade-off in low-level dynamics – we don’t find them as engaging at lower volumes. The attention to bass also has an effect on vocals and treble notes, with voices not sounding as open and intimate as they do on the B&W 606 speakers or the baby Oberon 1s for that matter. The larger mid/bass driver and Oberon tweeter don’t work quite as harmoniously as the other speakers in the range, with the combination perhaps not quite hitting the mark here. There’s lots to like about the Dali Oberon 3 speakers, not least that they are easy to enjoy. If you want a room-filling sound with deep bass and good detail, you should give these a listen. But at this competitive price point, you can find a more complete sonic balance from class-leading rivals.